Today I’ll talk about a little utility that may let you play catchup. 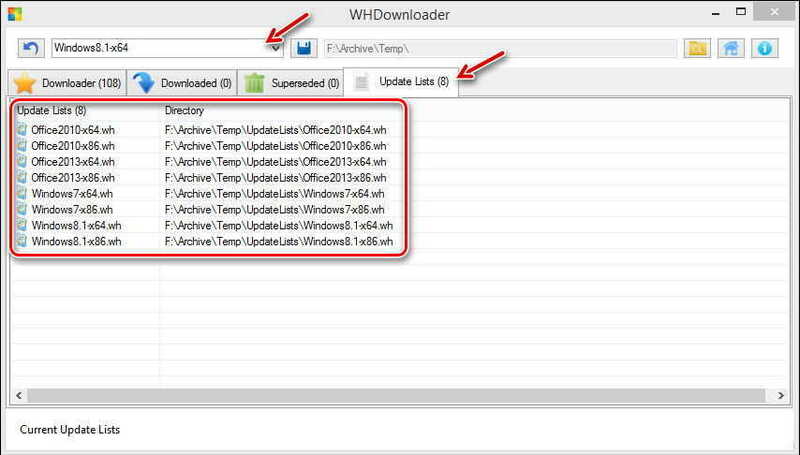 It is called Windows HotFix Downloader (WHD). It is portable and requires no installation. UnZip it and run it. Easy! Here is a little warning: Just because you see an interesting update or hotfix in one of the following lists does not mean you should immediately download and install it! 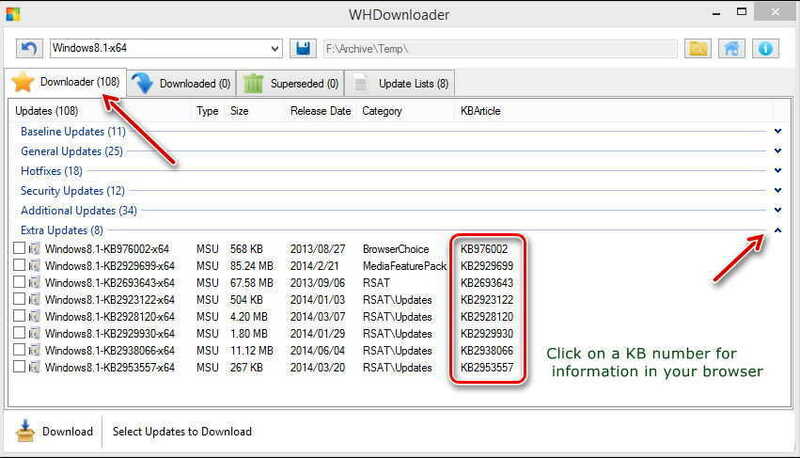 Check the Microsoft Knowledge Base articles to see what it will do for (or to) your machine. Do that First Thing! If you don’t need it, skip it. If one caveat is not enough, then here’s another: Before installing any suggested updates/hotfixes, make a backup. Even Microsoft makes mistakes and can screw things up from time to time– especially when it comes to the Kernel Updates. Be smart. You will have to click on the indicated Refresh Icon to populate the window. Once you have done that, click on the Update Lists Tab. This should now show you a list of all the categories from which to choose. You can use the Drop-Down Menu to choose a list of particular interest. 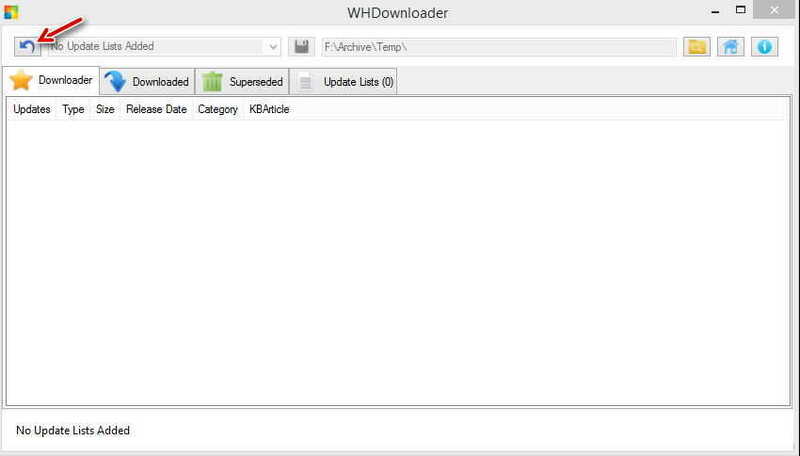 Click on the Downloader Tab. You can expand any list by clicking the Cute Little Arrows to the right. Once you decide, use the check box(es) to mark the ones you want and click the Download Button in the lower left corner. Hint: You can choose the default download folder in the upper-right corner of the window. That’s all there is to it. Little utilities like this are a great help from time to time.